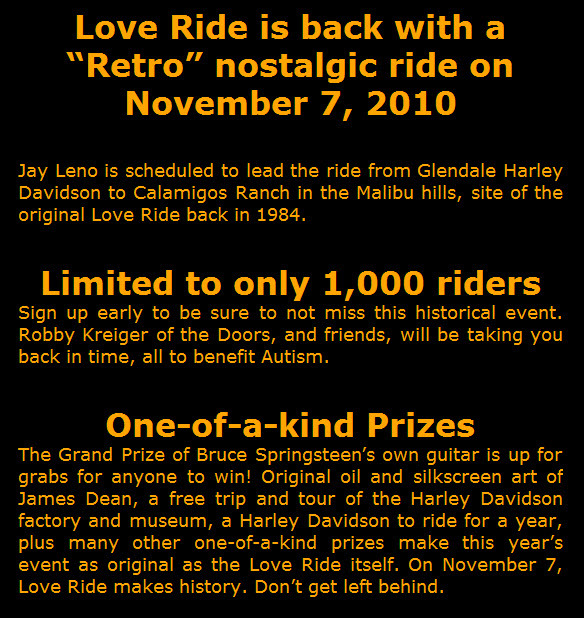 Love Ride Retro 2010 will be a special day, thoughtfully created by founder Oliver Shokouh of Glendale Harley-Davidson to give back love to the riders and volunteers who have made the event so worthwhile over the years. 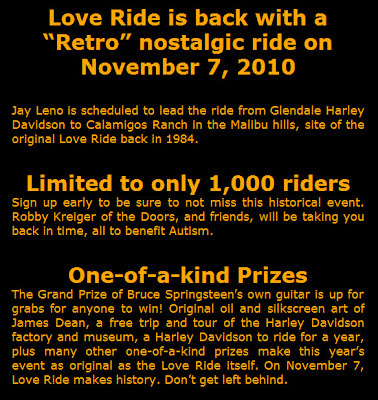 November 7th, Grand Marshal Jay Leno will lead a scenic 40-mile ride from Glendale Harley Davidson to the Calamigos Ranch in the Malibu hills for a carnival at the original site of the first Love Ride in 1984. 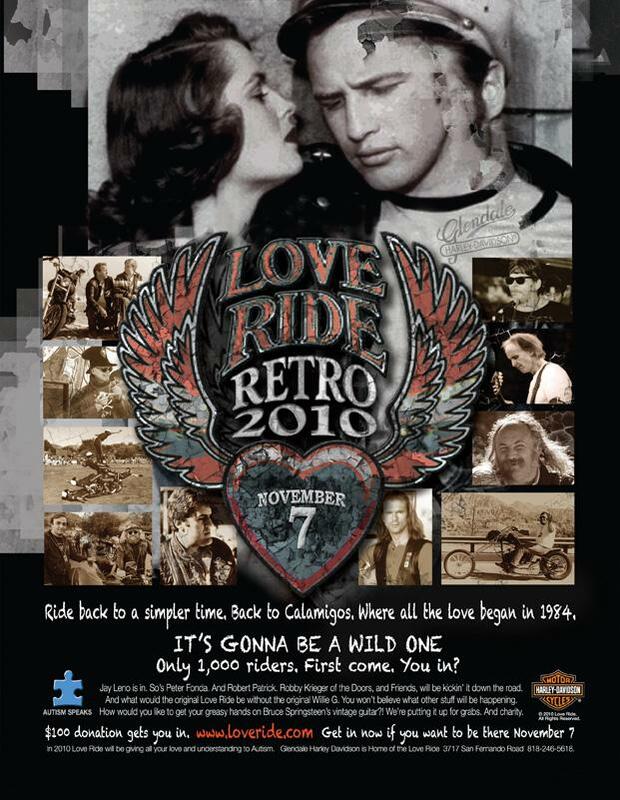 This event is limited to 1,000 riders and is benefiting the Autism Speaks charity organization. 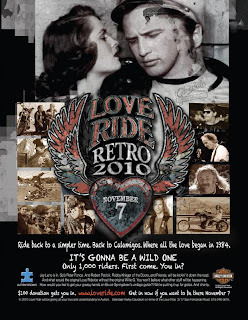 Tickets are $100 per person and open to all motorcycle riders. Information and registration forms are available online at www.loveride.org, or in person at Glendale Harley Davidson, 3717 San Fernando Road, Glendale, Calif.
Forms can also be obtained by calling the dealership at (818) 246-5618.